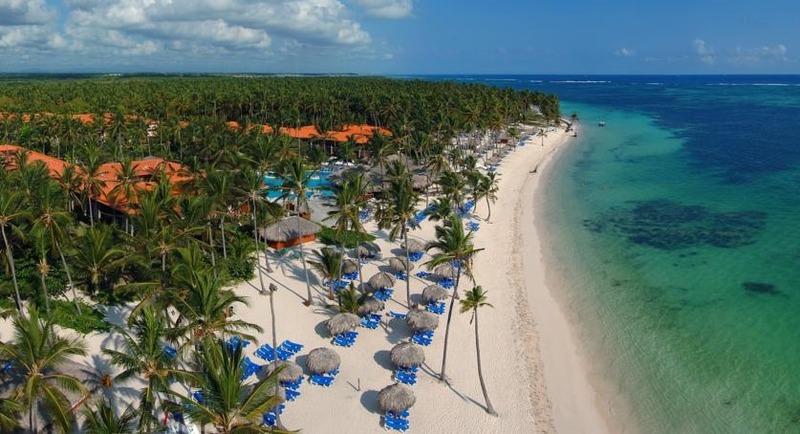 Natura Park Beach Eco Resort & Spa is located on popular Bavaro Beach in Punta Cana. Natura Park Beach Eco Resort & Spa is an all-inclusive resort located on Bavaro Beach in Punta Cana. The resort’s tropical setting features exotic birds, lagoons, nature paths, a private beach area and a pool. Rooms at the resort are modern and include air conditioning, ironing facilities, wardrobe, coffee maker, mini-bar and TV. The private bathrooms come with bath and shower and all accommodations feature a patio or balcony with views of the garden or the sea. Guests at Natura Park Beach & Spa Eco Resort will enjoy all meals included and served in La Cana Buffet Restaurant. There are also three à la carte restaurants open for evening meals — La Góndola, serving Italian cuisine, Media Luna, specializing in BBQ, and La Perla, the resort’s seafood restaurant. Activities such as dance classes, games and competitions throughout the day can be arranged by the resort. There’s a children’s club, with activities for kids ages two through 12. Natura Park Beach & Spa Eco Resort is located about 20 minutes from Punta Cana International Airport (PUJ). Visit Natura Park Beach & Spa Eco Resort’s website for more information.